Barbara Boylan was a dancer on the Lawrence Welk Show from 1961 to 1967. Boylan was born in Long Beach, CA in August, 1942 and attended dance school with Bobby Burgess. 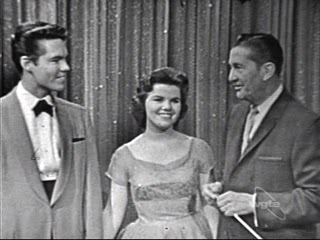 Barbara and Bobby made their Welk debut in the spring of 1961 when they won the Calcutta dance contest at the Aragon Ballroom in Santa Monica sponsored by the Mr. Welk. After six months of guest appearances, they were hired as regulars. Boylan married fellow Welk Show performer Greg Dixon in 1967 and retired from show business. Dixon and Boylan have been married for over 45 years now and make their home near Denver, Colorado.